With mobile intelligence of the Intermec CN3 at their fingertips, companies can increase customer responsiveness while also reducing inventory and transportation costs. Built to survive the rigors of the road, the CN3 meets rugged, standards-based environmental specifications and provides features that meet the needs of mobile workers. The CN3's 1.3 megapixel color camera provides a vital data validation tool, enabling workers to document proof-of service or vehicle inspection. 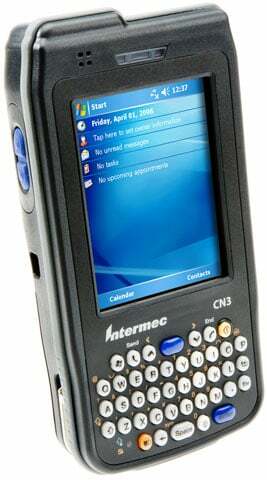 The Intermec CN3 has 128 MB RAM. The Intermec CN3ANH801G5E500 is also known as Intermec Technologies	INT-CN3A86	.